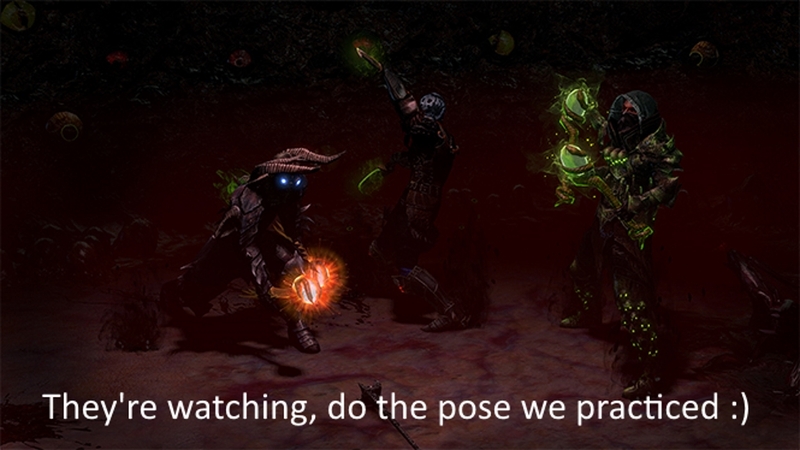 Competition – “Caption that Screenshot” with Path of Exile! Grinding Gear Games NZ, the team behind the isometric free-to-play masterpiece know as Path of Exile has just begun a competition with some great in-game goodies up for grabs 🙂 They’re providing 18 screenshots for us all to work with and it’s then up to you to succinctly caption the screenshot in 300 characters or less. This can be anything you think of – Lore, fan-fiction, hilarity or anything else! You’re also welcome to edit the images. For example, you could add speech bubbles to make your commentary clearer. The main restriction is that the image must still be recognisable after editing. If you’d like to cut it up and make it into a multi-paneled comic, that’s fine too. The winners will be selected based on entertainment value although writing skills will definitely be advantageous! You can check out the images available and enter the competition here, entry submissions will end in just over two weeks from now on Wednesday the 6th July at 5.00pm NZT.